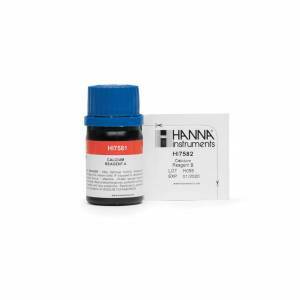 Hanna Instruments saltwater calcium colorimeter fills the gap between calcium test kits and advanced instrumentation. Standard test kits have limited accuracy as they depend on the human eye to determine colors. Hanna Instruments handheld colorimeter eliminates the trouble of matching to a color chart by providing a direct saltwater calcium result in ppm CaCO3. Our portable handheld colorimeter goes where you go. Achieve your calcium results easily with simple, one-button design. Quickly get your results without any hassle. The HI758 Checker® HC (Handheld Colorimeter) provides a simple, accurate and cost-effective way to measure calcium. Required for the development of calcium carbonate skeletons of coral reefs, calcium is a crucial component of marine waters. 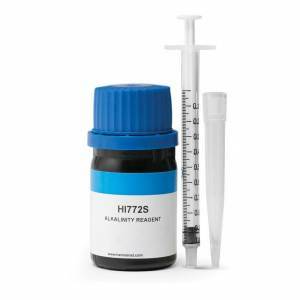 Designed as a more accurate alternative to chemical test kits, the HI758 provides quick, accurate results in a few easy steps. Now comes with MiniPipette – The minipipette has a 2-stage plunger that will accurately dispense 0.1mL tank water sample. HI758 Calcium Checker is supplied with (2) sample cuvettes with caps, calcium reagent starter kit for 25 tests, dropper,1 ml syringe with tip, 100 microliter pipette with tip, plastic pipette, battery, instructions and quick start guide.